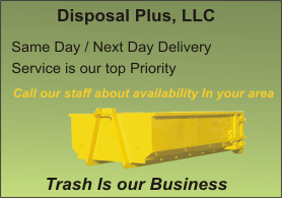 Contact Disposal Plus Dumpster Service! A valid email address is required to send your request. We never give out customer information. Just let us know how we may help and someone will get back to you as soon as possible.